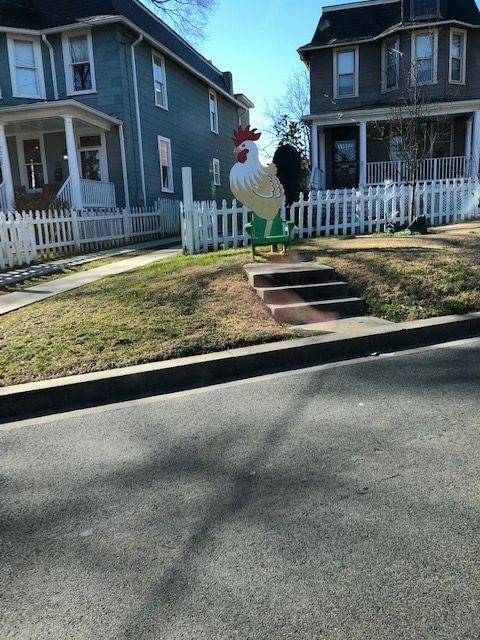 PoPville » Giant Chicken on a Chair! Giant Chicken on a Chair! Ed. Note: I believe this is what my cousins across the pond call zeitgenossische Kunst. You know, contemporary art! Although maybe it’s a subtle nod to the plight of those who wish to keep chickens in their backyard? Either way, it is fun to say zeitgenossische Kunst. Rejoice!! The Self Checkout has returned to the Safeway on Columbia Road!